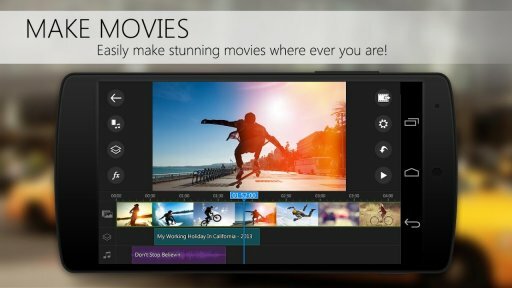 Edit your videos like a pro using just your phone! PowerDirector Video Editor App: 4K, Slow Mo & More allows you to edit your videos like a professional by using different features to create your best work which can now be produced in 4K quality. 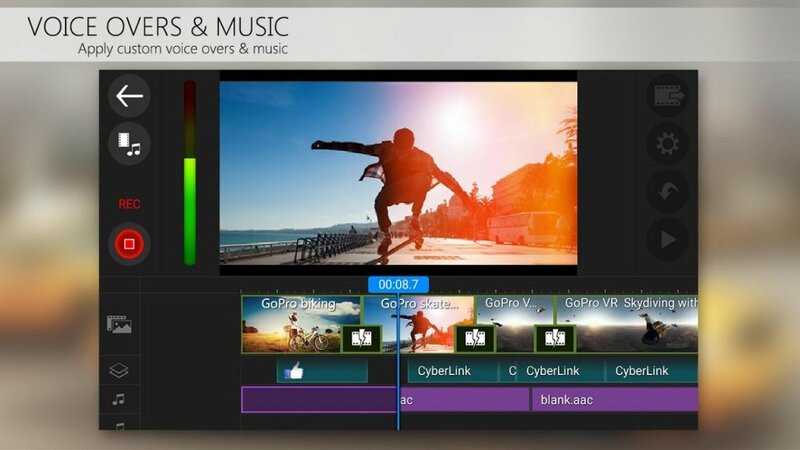 Some of these features include free effects, photo video editor, slow motion, reverse video as well as the ability to add voice over and action movie effects so you can upload your best videos to YouTube, Facebook or Vine. You can edit footage taken with your phone or your GoPro just like in other editing programs such as Final Cut and iMovie and create full HD movies with beautiful transitions, amazing effects and voice over video that will definitely impress your viewers. PowerDirector Video Editor App: 4K, Slow Mo & More also allows you to rotate, split and trim your video clips and custom your voiceover and audio soundtrack. The app’s intuitive interface is very easy to understand and uses a simple timeline for editing, which will make your experience easier. 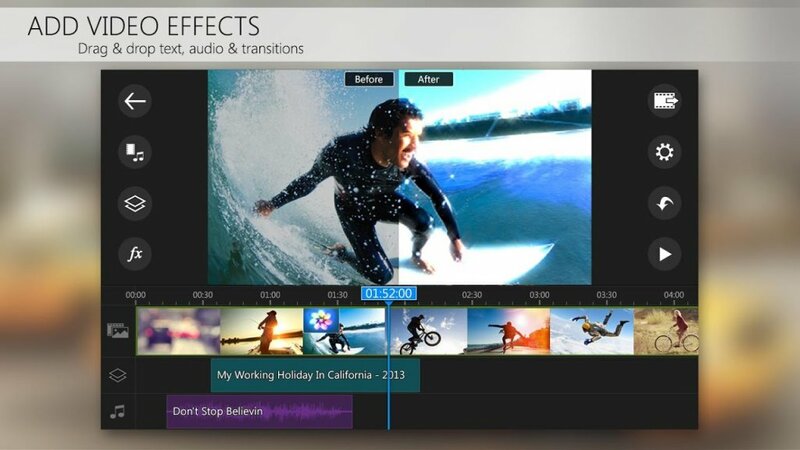 With all the professional tools at reach, you can add and create your own video effects with just a simple tap as well as combine photos and video in the same movie with the Photo Video Editor feature. 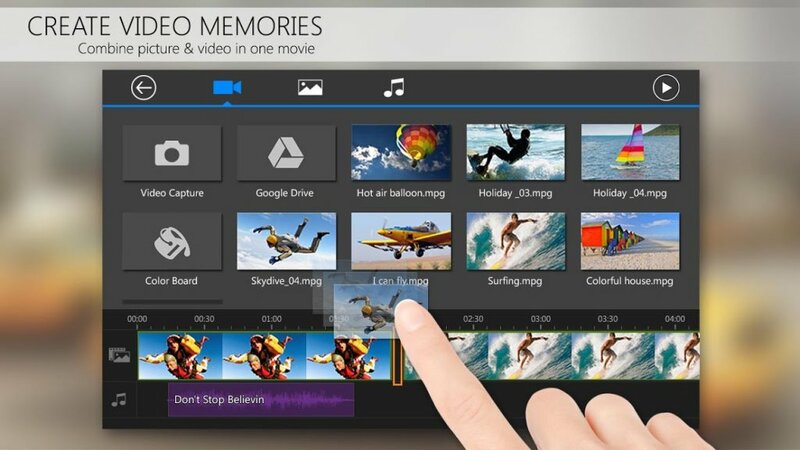 If there’s a special date coming up, you can use PowerDirector Video Editor App: 4K, Slow Mo & More to create a collage of photos or videos. 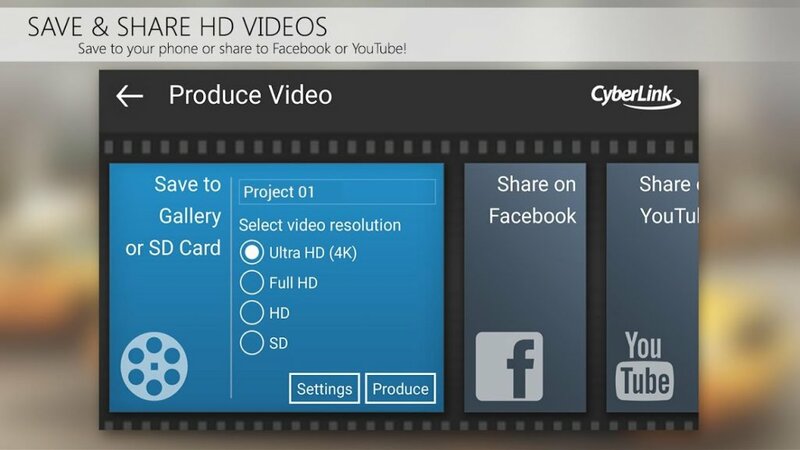 To get to know all the app’s features and possibilities download it now and start creating! how i can download it??? Não funciona APP dando erro ao instalar ou na atualização. Yes. Use lucky patcher to get free items, without pay for them. (More emoticons, more effects, types & etc). 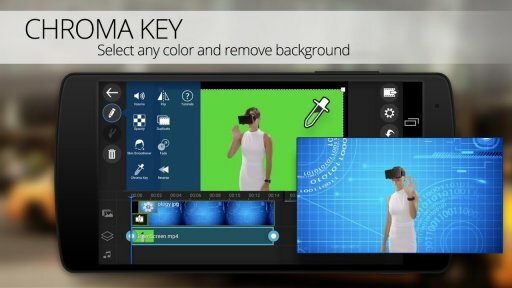 se você fazer a intro nesse APP vai fuçar horrível, ele só e bom para editar vídeos mesmo ! juste un bémol, l'image se fige pendant les transitions. 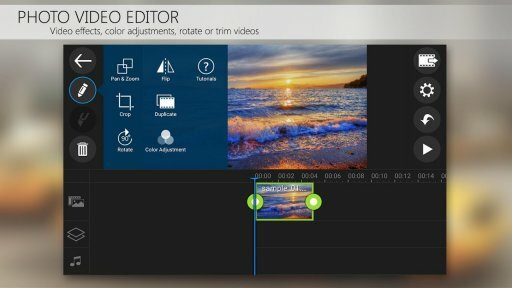 Arrangez çà et vous avez atteint la perfection pour une petite app de montage vidéo sous Android. De loin la meilleure. Pero si la descargo ya viene jakeada? Esta App Me La Recomendaron Es "Buena La App"????? da erro de análise quando vai salvar.